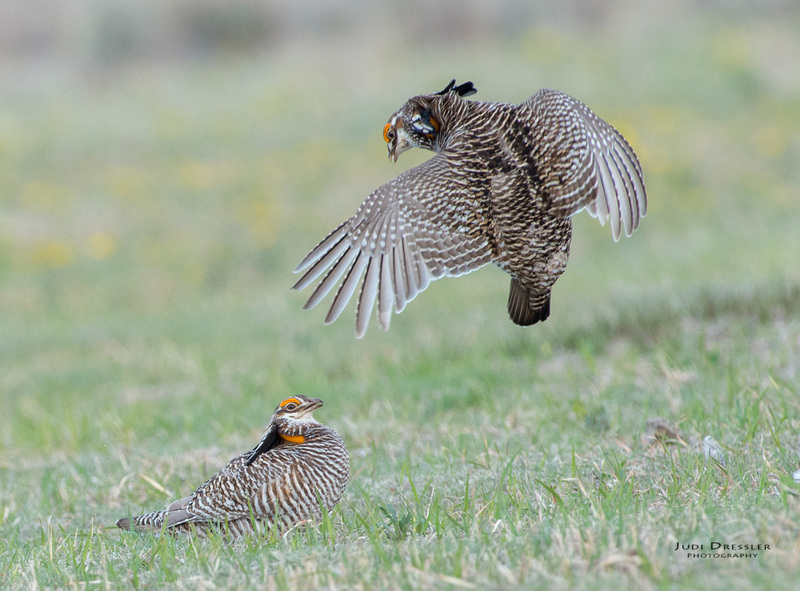 These two Greater Prairie-Chicken males were in a confrontation on the lek in eastern Colorado. It was spring time, but the females had mostly disappeared. That testosterone was still there, though, so they strutted around and if anyone came too close it was time for a fight! I was happy to get this aerial shot, as often the fight consisted of just some squabbling after which one would back off and walk away.